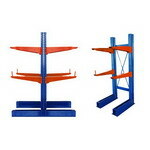 A shelf is a flat horizontal plane which is used in a home, business, store, or elsewhere to hold items of value that are being displayed, stored, or offered for sale. 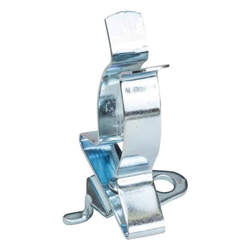 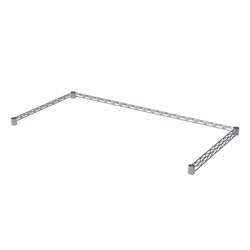 It is raised off the ground and usually anchored/supported on its shorter length sides by brackets. 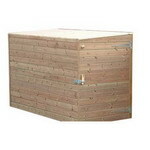 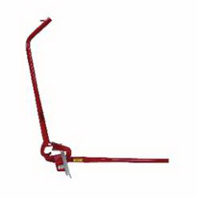 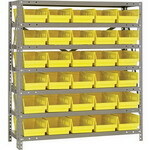 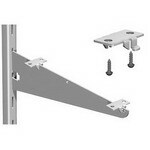 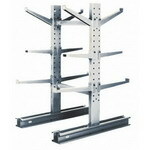 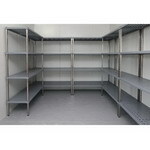 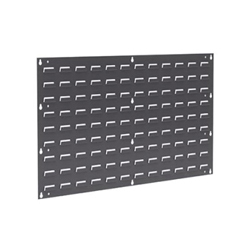 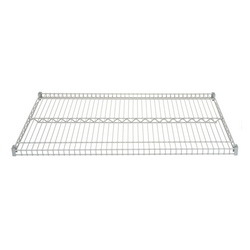 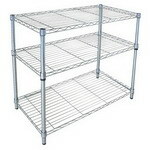 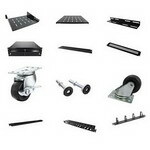 Rack consists of an open or partially inclosed frame. 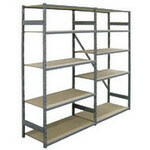 It is designed for storage and display purposes. 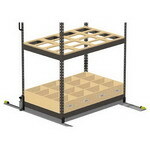 It may be divided into small compartments, but does not have shelves, supported by the frame itself.